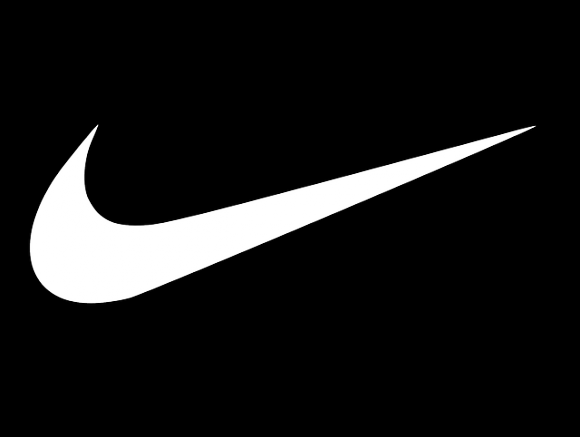 Nike Golf Quits the Equipment Sector-End of the Line for the Golf Industry? >> The End of the Golf Equipment Industry? The number of companies that thrive in the golf equipment industry could be counted on your fingers (even if you are missing a couple!) This space is basically dominated by a couple of big names like Ping, Callaway, Nike golf and Taylormade. These companies are the ones you find in big box stores as well as advertised through the various professional tours. Of course, there are plenty of others out there, but they aren’t part of the big hitters in golf. Even someone like Wilson, one of the biggest companies in sports, doesn’t rely on golf to make a living. So the recent decision by Nike to move out of the equipment sector came as something of a shock to lots of golfers. But is it really that surprising? What lead to this decision and where does it leave the future of the equipment industry and perhaps golf in general? 2 How Much Do Tiger and Rory Really Earn? 3 How Much Does it Cost to Make a Golf Club? 4 How Marketable is Rory McIlroy? 5 Are the Golf Companies Losing Money? 6 Is Modern Equipment Better? 7 Can PXG Change the Industry? Maybe the biggest surprise for those who don’t really follow the business side of golf was that a company like Nike was losing money making golf clubs. After all, when the latest driver sells for around $500 and a set of irons might be $700 on products that cost, to be polite, considerably less to manufacture, it might seem that making golf clubs is like a cash cow. How Much Do Tiger and Rory Really Earn? Unfortunately for the big OEMs (Original Equipment Manufacturer) this isn’t the case at all. Although material production costs on that “space age technology” driver are actually quite low, the marketing and sponsorship budget is absolutely huge. Don’t believe me? Here are a couple of numbers that might make you think. Nike’s endorsement deal with Rory McIlroy pays nearly $20 million annually and he is currently in the first part of a contract that when signed in 2013 was set to run for a decade. Nike would have to sell quite a few drivers to make those costs back! So when you pay for equipment what does that cost really represent? Independent studies have estimated that over 70% of the cost of golf clubs actually goes towards something other than development and production costs. This basically means sponsorship deals and other advertizing. How Much Does it Cost to Make a Golf Club? Put in dollar terms, the actual production cost of the latest driver rarely hits $50. And yes, that does include the model with the trampoline, cup face, direct from the space industry! Look, I am certainly not against companies creating successful advertising campaigns to sell their products. That is part of what a successful company does. However, when a graphite shaft that costs under ten dollars to produce is a $200 upgrade and a wedge head costing $5 is being sold in a $150 club, something might not be quite right. Obviously, Nike and others are pumping money into the pro ranks for a reason. 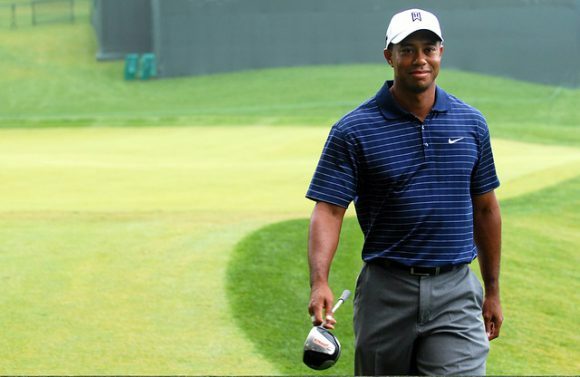 When we saw Tiger dominating the pro game, who didn’t want to have the same equipment in their bag? In the same way that we all wanted to ‘be like Mike’ being like Tiger was a pretty cool thing to wish for! Now without going down the obvious route that Tiger probably wasn’t playing quite the same stuff that we were buying in the pga superstore, this model seems to be reaching the end of its reign. This is somewhat ironic, because golf was considered in many ways to be the golf standard of athletic endorsement for companies. Whereas in other team sports the guy who made the shoes was different to the team jersey sponsor, in golf it was possible to tie someone into a contract that covered everything. How Marketable is Rory McIlroy? A lot of the reason why Rory can command such a huge fee was because Nike didn’t want anyone else getting a a part of someone who was seen as being one of the most marketable properties in sport. A guy who seemed set to be winning majors for a decade or more (and that could still be the case) as well as fill column inches outside of the golf pages. Of course, they expected this contract to more than pay for itself in terms of sales and a lot of smart people spend a lot of time calculating just how much Rory is worth. However, there is certainly an element of speculation in there. What happens if Rory stops winning? What happens if there is a sharp downturn in the golf industry of simply in the economy? Well, this seems to have happened, at least in part, and the result is that Nike is moving out of this business because it is costing them money. Are the Golf Companies Losing Money? This is actually far from an isolated incident. Other companies have gone under or are changing their business model. Adidas, owners of Taylormade, confirmed earlier this year their plans to sell off Taylormade. They aren’t doing this if the equipment is making them money. Other companies are targeting specific areas, becoming specialized in wedges or putters for example. So what went wrong? There are probably lots of parts to this story, but the cycle of a new line of ‘longer and more forgiving’ clubs every few months seems to have finished by coming off the rails. Once again, I am certainly not saying that equipment from 2016 is worse than stuff from say 2006. This isn’t the case. However, what manufacturers can do with a golf club is actually somewhat limited. There are rules governing things like COR (coefficient of restitution, or how ‘springlike the face of a driver is). For COR, this is set at 0.83. Companies can tell you about longer or more forgiving until they are blue in the face, but the reality is this limit has been there for long enough that most any driver from the last few years is already there. A lot of the rest is simply hype and marketing. And as someone who loves equipment and has bags of it lying around the house, much to my wife’s dismay, the difference between a 2016 iron set and an equivalent model from say 2012 is negligible. Buying becomes more about pleasure than any real, tangible improvement in performance and after a certain point this model isn’t sustainable. Can PXG Change the Industry? There are new players coming into the market. PXG and their high-end irons are currently making a lot of noise. Feedback on the various forums has been generally positive and although I haven’t had a chance to hit them yet, I would guess they are great. However, the difference between this set at maybe $2000 dollars and certain off-brands at closer to $300 is small. Tighter control on specs? Certainly. Better materials? Possibly. Change your game completely? No, sorry. The personal fortune of PXG founder Bob Parsons is undoubtedly keeping him in the game for as long as he wants, but it is hard to see him turning a profit any time soon. So where does this leave the future of the equipment industry? There will always be a market for really exclusive products. It might not be a large market, but there are always people ready to buy that “forged by Endo” experience or a one-off Edel putter. And that is great. These are quality products, both beautiful and high-performing. There is nothing wrong with this. However, the days of $500 drivers that cost $200 six months later as their successor is released and sit in bargain bins at $99 a year on must be over. Production cycles must be longer. More and more golfers are turning to brands that keep costs under control by refusing to endorse. Others (and I confess I do enjoy doing this) are using components to build their own or order clubs to their specs and try different shafts, grips and club head without breaking the bank. Manufacturers are looking for ways to create a sustainable model or at least a new angle. Cobra’s single length set could be one way of adding a breath of fresh air to the equipment scene. So at we at end of the equipment industry? Perhaps not, but golf is without doubt at a crossroads. It needs to move away from its roots and find ways of appealing to a wider audience without losing its essence. Getting the balance between genuine innovation and gimmick can be a tough line to walk and the equipment sector is finding this just as true as the rest of the game from club memberships to slow play. It will be interesting to see what happens next!